8 Great Tips for Queen Walk! I have been using Healers since a long time ago (I can’t remember exactly when) and I see that loads of players here like using them too. After reading some great tips from JosSi, I asked myself “Why not write a short post about this? People will like it!” And here you go guy! 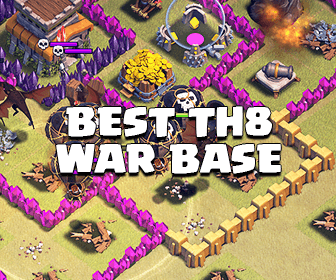 Depending on the base you are going to attack, sometimes 5 better than 4. Five Healers can easily deal with 2 point defenses and you will be able to use them all throughout the raid. If you make a bad move and one gets killed, you will still have 4 Healers working at full capacity. In the raid, Grand Warden follows Archer queen like a puppy. Why don’t do the Walk together, right? Together, they will shoot buildings down faster. While being buffed by the Warden, your Queen will be much more powerful. 3 points defenses are such a threat! But If you use 1-2 giant to take of the heat, your Queen will come out winning at full HP. Place then in front of your Queen and nicely under the Healers If a X-Bow is attacking your Queen, your Healers will stay there they are needed. This will need practice a bit but trust me, it will be pretty easy! Lava Hound is the most used troop in the Clan Castle at this time, in Clan Wars. 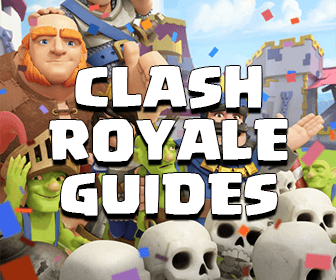 Once some defenses are being distracted by your Queen, send a Hog into the opponent base to do a quick lure If your opponent uses just 1 troop in the Clan Castle. 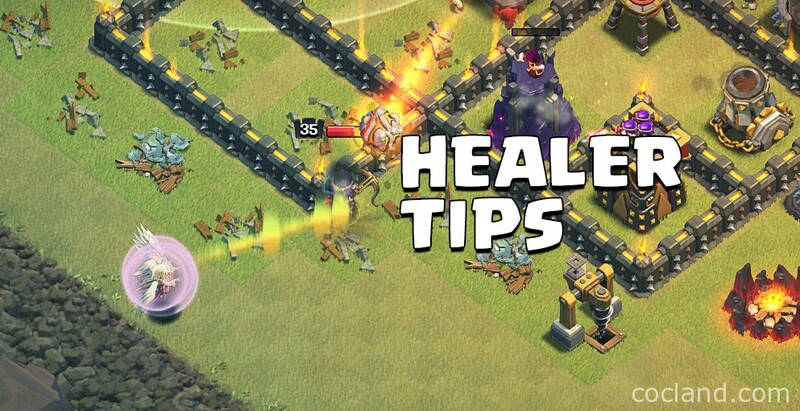 Otherwise, If there are loads of troops in the Clan Castle, the Poison Spell will help you take them down quickly. You can use 5 healers, 2 Heroes, 1 Poison, 1 Hog Rider, some Giants,… while the Eagle is sleeping. Use them wisely and you can easily open up a wide road to the Eagle. This is very important guys! Everyone wants to enjoy some nice free HP from the Healers! Which is sweeter than your main army under Rage and being Tomed and Healed? It’s absolute power and you will want to do this in every single raid! This is definitely one of the most useful spells in game. Although it doesn’t kill troops outright but it will slow everything down more than enough. I did write a small tip about this before and you should read more about this at here. As the whole army will be under Healers, you will also want to pick up somethings working with the healers. The old strategy Giant/Healers is still working like a charm. Healers + Bowlers is also a great new combo too, especially after the Bowler’s housing space got decreased. Bowler’s attack range is incredible and no Air Defense will have enough time to take down your Healers. There are also couples of other great tips I want to share. I will try to add them soon beside some screenshots and videos. Stay tuned my friends!